New Canaan, CT – September 30, 2004 – With Medicare reimbursement improving for skilled nursing facilities, occupancy levels rising in the assisted living sector, and balance sheets strengthening, the senior care investment market is on the rise, according to a panel of experts in an Audio Conference hosted by The SeniorCare Investor newsletter. The conference, titled “Rising From The Ashes,” was moderated by Stephen M. Monroe, editor of The SeniorCare Investor, and the panelists included Debra Cafaro, president and CEO of Ventas; Brad Hollinger, president and CEO of Highmark Healthcare and The Hollinger Group; Jim Pieczynski, national director of health care real estate lending at CapitalSource; and David Rothschild, senior vice president of CB Richard Ellis. “After a difficult period for the senior care business, buyers are hungry for attractive acquisitions and investment capital is ready to fund their expansion,” commented Stephen Monroe. “Most of the properties that have been available for sale in the past two years have been those recovering from low occupancy or other problems, but as newer, stabilized and profitable senior care assets become available for sale, the bidding has been extremely aggressive,” continued Mr. Monroe. It was revealed during the conference that, based on results for the first six months of 2004, the average price paid per bed for skilled nursing facilities has risen slightly from the prior year, but at approximately $32,000 per bed the prices remain near historical lows because most of the sales continue to be the result of restructurings, foreclosures and chain divestitures. At an average of $50,000 per unit in the assisted living market during the first half of 2004, prices have remained at the low end of the past 10 years because the financial performance of many of the facilities sold has been so poor. “Despite low interest rates and decreasing cap rates, the higher quality facilities have been largely absent from the acquisition market,” stated Mr. Monroe. “When these owners begin to realize the strong demand for premium properties, we will see more come onto the market and average prices may rise dramatically as a result.” Full-year statistics will be available at the end of March 2005 in the Tenth Edition of The Senior Care Acquisition Report. 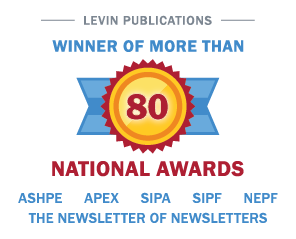 The 90-minute CD of the conference can be purchased from Irving Levin Associates, Inc. for $279 ($179 for subscribers), which will include the charts for some of the mid-year statistics. For more information, or to order the CD, please call 800-248-1668. Irving Levin Associates, Inc., publisher of The SeniorCare Investor, was established in 1948 and has headquarters in New Canaan, Connecticut. This privately held corporation publishes research reports and newsletters, and maintains databases on the health care and senior housing acquisition markets.